January | 2014 | We've Got Some Issues. Well, everything is delightfully batshit now. 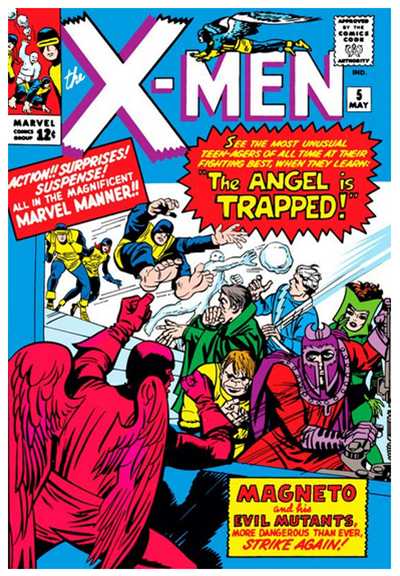 This issue features the X-Men saving a mutant track star from a raging mob, the introduction of Magneto’s homebase on an asteroid, Jean Gray’s clueless parents, illusory monsters, a hypnotized Toad, outer space ice-tunnels, and a wild, chuckling, left-turn of an ending. This is joyful stuff. After last issue’s explosion rendered Xavier catatonic (or has he just been robbed of his superpower? 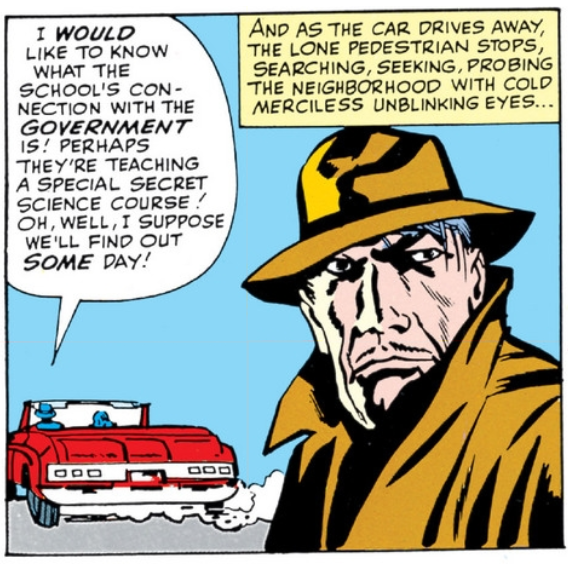 Sometimes it’s a little unclear), the X-Men return, leaderless, to New York, where they gather in their den to commiserate and watch a track meet on TV. Okay. When the athlete on the tube reveals himself to be clearly more than human, the crowd turns on him and riots. The X-Men spring into action, arrive at the stadium in—somehow—a matter of seconds, where they rescue the leaping mutant. But wait! 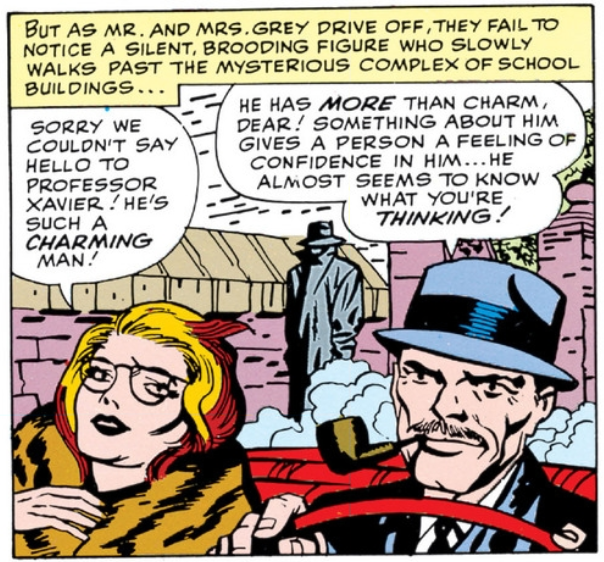 It was Toad, all along, in a disguise to lure out the X-Men. Mission accomplished, Toad. But wait!! The X-Men recapture Toad. But wait!!! 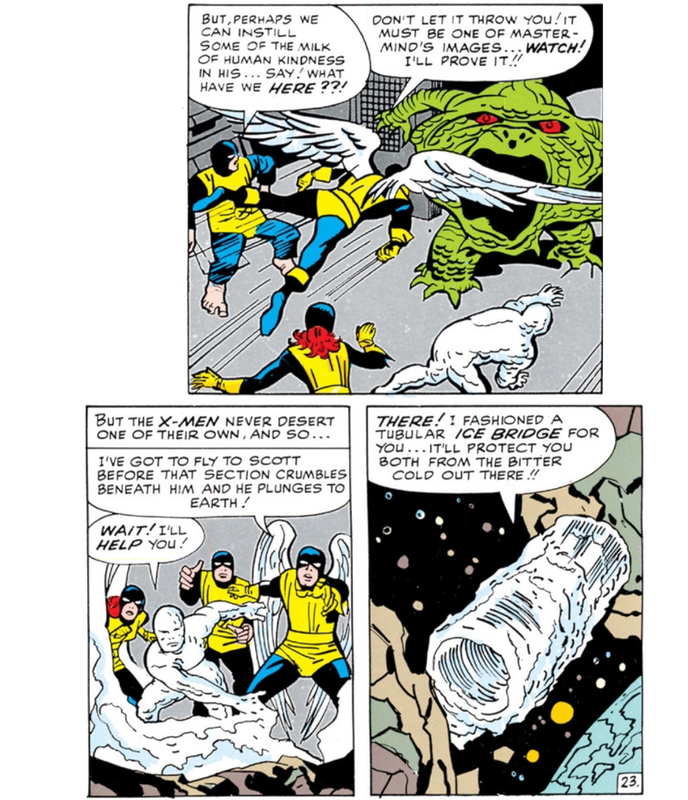 The Brotherhood of Evil Mutants show up and capture Angel! Toad is held at Xavier’s mansion and Angel is held on the BOEM’s homebase on an asteroid. The remainder of the issue is basically a rescue mission. But wait! Lee and Kirby giddily throw everything against the wall for the final panels. 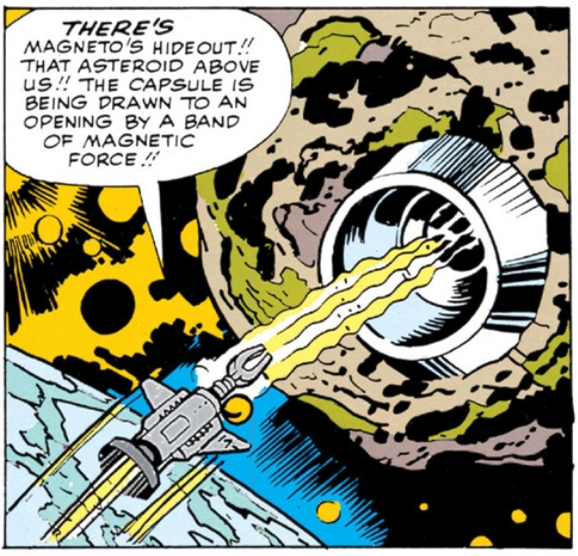 The asteroid seemingly comes alive to thwart the X-Men; Mastermind conjures a bloated gumball-fish creature, and Ice Man does pretty much the greatest thing ever by reconnecting sections of asteroid wreckage with an ice tunnel so Angel can save Cyclops. Oh, and Xavier was just faking his powerlessness. I guess. None of it makes much sense, but it is so, so joyous.